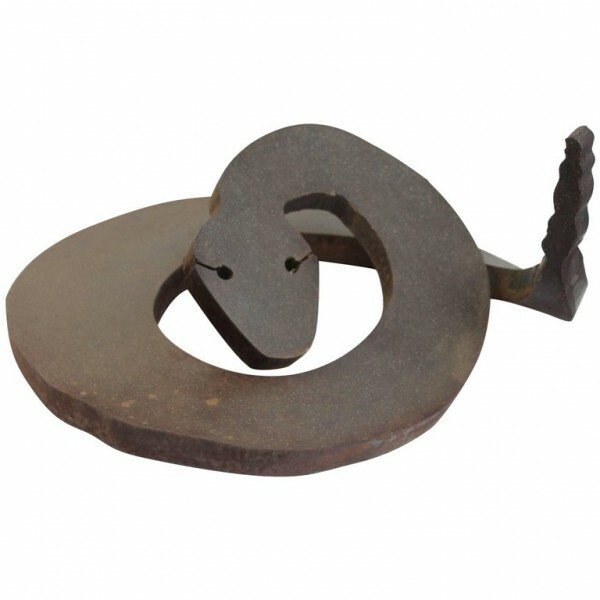 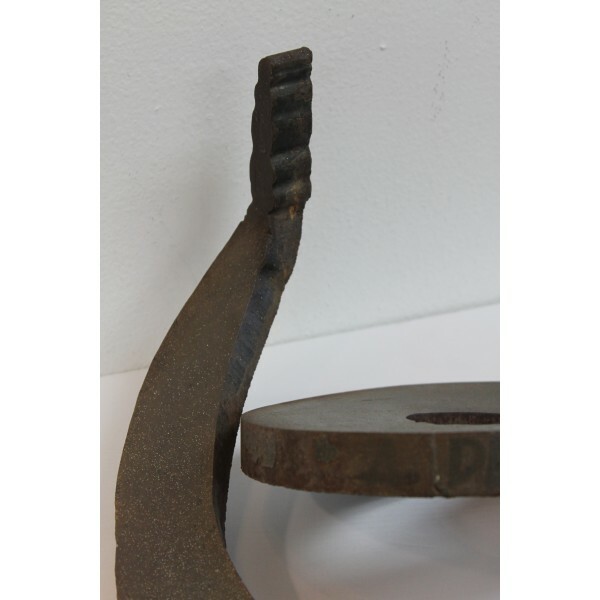 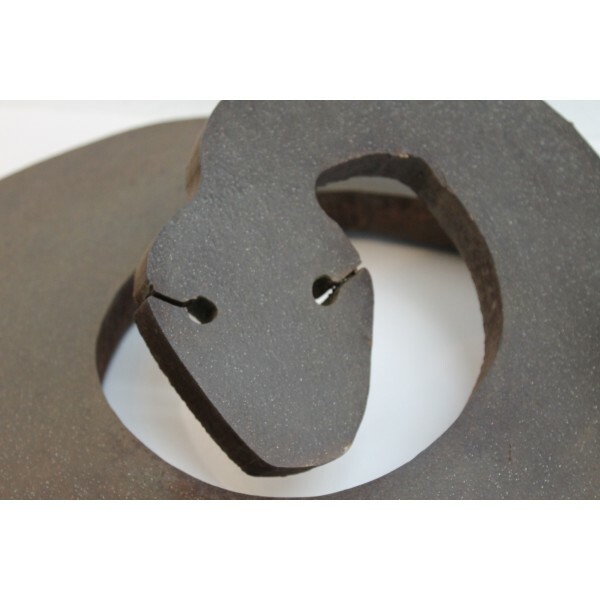 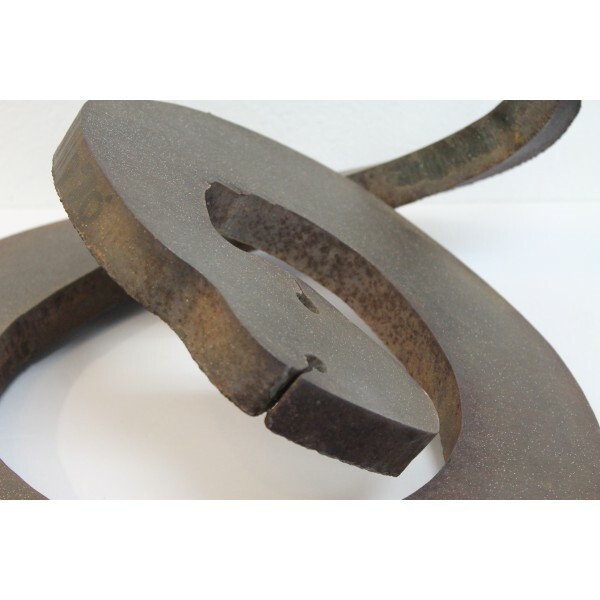 A circa 1970 cut steel form of a coiled rattlesnake. 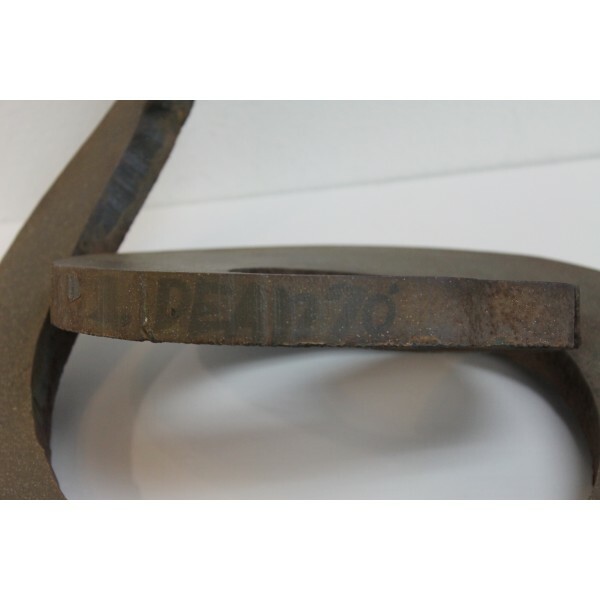 Difficult to make out the full signature but it looks like a last name of DEAN 70. 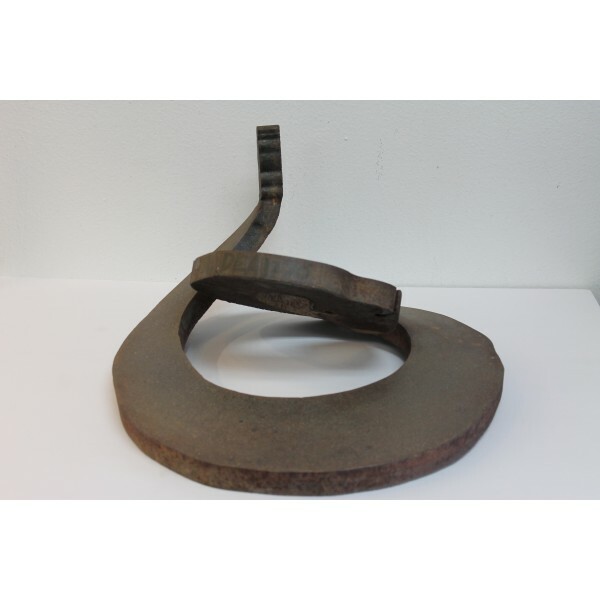 Sculpture measures 18" diameter and 9" high. 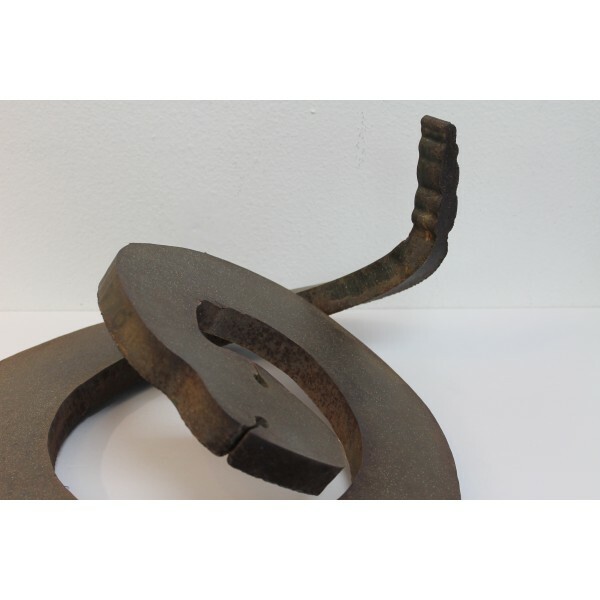 Metal is a full 1" thick, quite a heavy and impressive piece.